← Can a Catholic Remarry When a Spouse is Missing/Presumed Dead? Q: A friend of mine told me that his pastor routinely admits Episcopalians to Holy Communion. He explained that the local Episcopal church closes for several months, since it’s located in a resort town. The Catholic pastor has an “arrangement” with the Episcopal minister that the local Episcopalians come to the Catholic parish for Sunday Mass and receive Holy Communion during those months. They would otherwise have to drive about ten miles to another Episcopal parish. They go back to their own church when it reopens. To my simple mind, this situation doesn’t meet the criteria for reception of Holy Communion by non-Catholic Christians. Driving ten miles in these parts is nothing, we all drive farther than that to the mall, etc., so it isn’t an arduous situation. 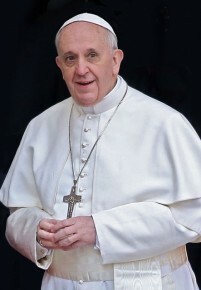 A: The Catholic Church’s basic rules regarding the reception of the Eucharist by non-Catholics were already discussed in “Can a Non-Catholic Receive Holy Communion in a Catholic Church?” But in this case, it sounds like the pastor of the Catholic parish in question has agreed to permit this entire group of non-Catholics to receive Holy Communion at Sunday Mass on a regular basis. What’s going on? Can the pastor do that? Canon 844.1 lays out the general rule: Catholic ministers licitly administer the sacraments to the Catholic lay-faithful alone. But the following paragraphs of the same canon describe certain exceptions to the rule. 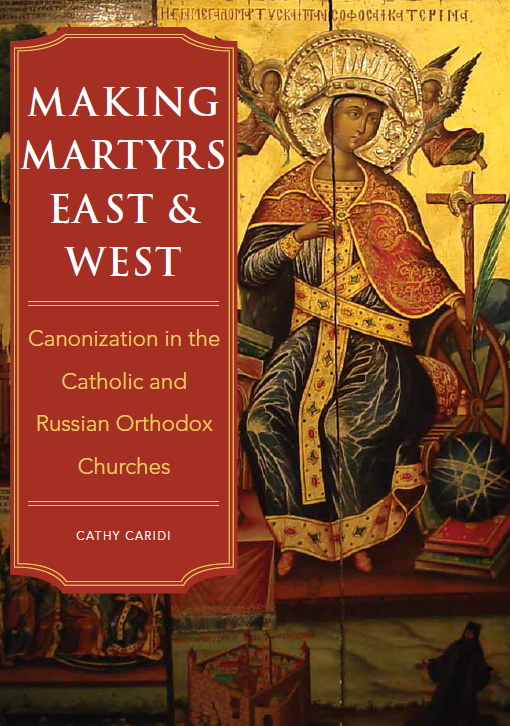 In canon 844.3, we find that Catholic ministers administer the sacraments of penance, Eucharist, and anointing of the sick licitly to members of Eastern Churches which do not have full communion with the Catholic Church, if they seek them of their own accord and are properly disposed. The same also holds for members of other Churches which, in the judgment of the Apostolic See, are in the same condition in regard to the sacraments as these Eastern Churches. There’s a lot going on in this paragraph, so let’s take it apart. First of all, when the code mentions “members of Eastern Churches which do not have full communion with the Catholic Church,” it is referring to the Orthodox Churches. As we saw in “Why is a Catholic Permitted to Marry in an Orthodox Ceremony?” the Catholic Church holds that the Orthodox are in a state of schism as per canon 751, since they do not recognize the Pope as the head of the Church. Nevertheless, the Orthodox have maintained apostolic succession and thus still have validly ordained priests and bishops, who confer valid sacraments. Consequently, when the Orthodox receive the Eucharist in their own parish churches, they are (in the eyes of the Catholic Church) truly receiving the Body and Blood of Christ, just as we Catholics do when we receive Holy Communion in our Catholic parishes. The Orthodox might not describe the consecration of bread and wine using the term transubstantiation that is used by Catholic theologians; but even if their terminology is different, their understanding of the sacrament substantively mirrors our own. This is why, if an Orthodox voluntarily approaches a Catholic priest to receive the Eucharist, showing the proper dispositions for reception of this great sacrament, he may lawfully do so. But with regard to Catholic recognition of the validity of their sacraments, Episcopalians are not in the same situation as the Orthodox. There has never been any official finding by the Church that Episopalians are, as required by canon 844.3, among the “members of other Churches which, in the judgment of the Apostolic See, are in the same condition in regard to the sacraments as these Eastern Churches.” This issue was discussed in greater detail in “The Validity of Anglican Holy Orders,” but in short, the Catholic Church does not recognize the validity of the ordination of Anglican/Episcopal clergy. This logically means that they are unable to consecrate bread and wine into the Body and Blood of Christ—thus making the sacrament of communion at an Episcopal parish utterly unlike the Catholic Eucharist, even though on the surface, their Sunday liturgy may look amazingly like a Catholic Mass. The confusion that this can cause ordinary members of the faithful was addressed in “Catholic Priests Who Become Non-Catholic Ministers,” which also noted that the official teaching of the Anglican/Episcopal Church does not assert in any case that transubstantiation occurs at the moment the words of consecration are said over the bread and wine. This means that as a general rule, the Episcopal faithful who receive communion in their own churches on Sunday do not have the same fundamental understanding of the sacrament that Catholics do. But while canon 844.3 doesn’t apply to Episcopalians, the following paragraph does. Canon 844.4 says that Christians who are not in full communion with the Catholic Church can licitly receive the Eucharist (a) in danger of death, or (b) if, in the judgment of the diocesan bishop or the bishops’ conference, there is some other grave reason—if these non-Catholic Christians cannot approach their own minister and spontaneously ask for the sacrament, provided that they demonstrate Catholic faith in regard to the sacrament and are properly disposed. There are quite a few different conditions in this paragraph that must be met, so let’s go through it piece by piece, and see whether it applies to the situation that David’s question presents. To begin with, non-Catholic Christians who are not Orthodox can receive Catholic sacraments only if they are in danger of death, or if the local bishop or the episcopal conference has determined that there is a grave reason permitting them to do so. (See “Are Catholics Supposed to Abstain from Meat Every Friday?” for more on what an episcopal conference is.) The Episcopalians in David’s scenario are obviously not in danger of death; and there is no indication that the local bishop—much less the episcopal conference!—has determined that a grave reason exists that would permit them to receive the Eucharist at the Catholic parish when their own parish is closed for the season. A “grave reason” would be something extremely unusual and urgent; and the annual, predictable closure of the Episcopal parish for a known, set period of time just doesn’t fit the bill. Next, canon 844.4 states that these non-Catholic, non-Orthodox Christians can only receive the Eucharist if they cannot approach their own minister. But David asserts that the Episcopalians in the situation he describes “have to drive about ten miles to another Episcopal parish…. Driving ten miles in these parts is nothing.” Assuming that this is accurate, canon 844.4 cannot be applied to their case at all. Finally, and most importantly, the canon notes that these non-Catholics can only receive Holy Communion in a Catholic church if they “demonstrate Catholic faith” in the sacrament. As was just discussed above, Episcopalians as a general rule do not believe that when they receive communion in their own parish churches, they are truly receiving the Body and Blood of Christ, confected by the priest when he pronounced the words of consecration over the bread and wine. Note that it is entirely possible in individual cases (and maybe in entire individual Episcopal parishes!) for Episcopalians to have this faith; but it cannot be assumed as a matter of course. Somehow they would have to show the Catholic priest from whom they wish to receive the Eucharist that they truly do believe in the Real Presence just as Catholics do. We don’t know whether this group of Episcopalians in David’s scenario have manifested Catholic faith in the Eucharist or not. But if they have, this begs the question: why, in that case, don’t they join the Catholic Church, instead of continuing to be Episcopalians? It would seem on the surface to be only logical that, if they believe what the Catholic Church teaches about the sacrament of the Eucharist, they would prefer to receive It henceforth as Catholics—instead of returning to their Episcopal parish church to receive communion there once again when it reopens. Taken collectively, the situation described in David’s question most decidedly does not meet the conditions described in canon 844.4. The Catholic pastor of David’s friend’s parish has absolutely no authority to unilaterally override either Catholic sacramental theology or canon law in this manner. There is no conceivable way that this could be lawful, and it should stop. What should David do? First of all, he ought to urge his friend who attends that parish to contact the diocesan bishop—respectfully—and apprise him of the situation. Chances are that he knows nothing about it! If for some unknown reason the friend refuses to do this, David should contact the bishop himself, and provide as much information as he can. It should be a relatively easy matter for the bishop to verify the facts himself. It’s important to note that the Episcopalians themselves do not appear at all to blame in this situation! From the sound of things, they are receiving Holy Communion in the Catholic parish because the Catholic pastor of that parish told them that they were permitted to do so. They are simply following the directions they were given, and cannot be held culpable for the fact that they were bad directions. To sum up, David is indeed “thinking straight” about this situation. If non-Catholics wish to attend a Catholic Mass, they are most welcome—but they cannot approach Holy Communion except in specific and unusual circumstances. We see that the Church strives to protect the integrity of its sacraments, even while acknowledging that exceptional situations may arise where non-Catholics, manifesting Catholic faith, can be allowed to receive them. This entry was posted in Canonical Issues Involving Non-Catholics, Holy Mass, Parish Life, The Eucharist and tagged canon law, Catholic, Episcopalian, eucharist. Bookmark the permalink.